One of the most important assets of a business is its brand. A brand is a type of intellectual property that is intended to distinguish one business from another. Differentiation is especially important for healthcare entities, where brands have the power to signal high-quality patient care and outcomes to communities in the face of intense competition, attract and retain top clinicians, and evoke a sense of loyalty and trust among the patient base. As the healthcare industry continues to consolidate, healthcare brands represent a significant opportunity to add value to a strategic relationship. Smaller entities may desire to leverage the branding entity’s experience and knowledge of best practices while conveying the expertise and reliability of the larger brand to the patient population. In addition, many healthcare entities contribute their brands as an opportunity to access greater patient populations without sizable investments in capital and infrastructure. The branding entity has the added opportunity to monetize their existing brand through a royalty rate, a return on an asset which in many cases was created through significant investment and marketing spend across several decades. This article will highlight why healthcare brands are unique, identify prevalent payment models between parties, and discuss the importance and application of fair market value in healthcare brand contribution. In some ways, healthcare brands resemble brands from traditional retail or professional service brands. Both healthcare and traditional brand strength is determined based on the brand’s ability to distinguish the company from competitors. Healthcare brand value, as well as with other industries, is largely a factor of the future earnings generated by the brand. In other ways, however, healthcare brands are exceptionally unique from traditional retail or professional service brands. Retail products may attribute value to brand through a premium pricing structure of a good or service. While pricing certainly plays a role in healthcare brand valuation, it aligns more closely with the payor mix. Unlike retail, where the business sets the price, healthcare services are predominately remunerated through the government and insurance companies. While some healthcare entities may have “purchasing power” based on their geographic region, size, or services offered, their fee schedules are set by the Centers for Medicare and Medicaid Services (CMS) or through negotiated contracts with managed care and commercial insurers. The opportunity for premium pricing is therefore derived through an ability to either attract a larger portion of commercial and managed care patients to government patients or gain a higher overall market share. Another key differentiator between healthcare brands and other industries is the level of regulation overlaying the healthcare industry. Healthcare is governed by strict rules and regulations that are intended to protect the American tax payer. According to the 2018 CMS National Health Expenditure data, of the $3.3 trillion healthcare spending dollars in 2016, government payors (Medicare and Medicaid) represented 37% of total healthcare spending, or $1.2 trillion. The accessibility and use of government funds through coordinated patient care requires accountability through federal regulations. For example, the federal Anti-Kickback Statute prohibits the payment of remuneration in exchange for patient referrals and the Stark Self-Referral laws limit certain physician referrals. Within these bodies of law, the government stipulates that stated compensation in an agreement between referring parties must be set at fair market value. Therefore, unlike traditional brands, contribution of a brand in a healthcare transaction must be valued and priced at fair market value to avoid the implication that a mispriced brand conveyed on terms related to referrals. When considering an opportunity for a brand contribution, it is important to delineate between a brand and a trademark. 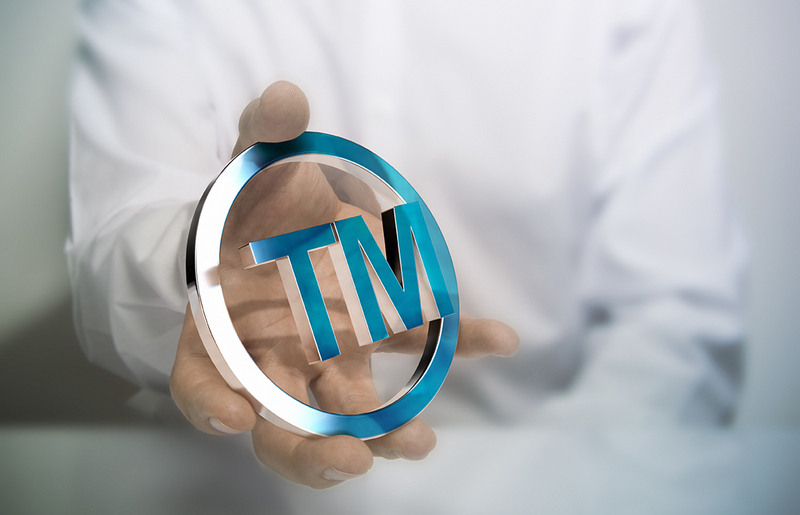 A trademark is a specific proprietary logo, name, or group of words, symbols or designs that are used to differentiate a business’ goods and services from competitors. A brand includes trademarks but can be expanded to include marketing programs, product development processes such as process, protocols and workflow design, websites and even the general look and feel of an ad campaign. This is an important distinction to consider as many healthcare businesses tie the success of their organization to their brand, not a single trademark. Specific brand components to be contributed must be detailed and considered in the deal structure. The most common brand contribution deal structure between for-profit, non-profit, Academic Medical Centers, management companies and independents is a Licensing Agreement (“LA”). LAs can be standalone financial agreement or incorporated into multi-purpose professional service agreements such as a master affiliation service agreement or collaboration agreement. A LA is a financial arrangement between two parties in which the licensor (owner of brand asset) licenses a narrow and defined set of usage rights of the brand to a licensee (user of brand assets). The right to the use the asset will be tied to a financial incentive such as a royalty payment. Royalties are usage-based payments made by the licensee to the licensor for the ongoing use of an asset. Common LA provisions include term of the license, rights of termination, exclusivity, geographic territory, trademark quality and control, and royalty payments. Each of these elements impacts the transfer of rights and the future economic benefits of the licensor and licensee and therefore the amount of the royalty payment. Most market data supports royalty rates as the standard financial structure for a LA. There are a number of ways to structure the payment of royalties. Royalty payments are often expressed as a percentage of revenue but can also be a structured as a fixed annual payments or a one-time up-front lump-sum payment. For example, the decision might be made to structure a one-time up-front lump-sum royalty payment if the contribution of one party’s brand will serve as its equity contribution in a proposed joint venture (JV). This technique may be appropriate when one health system contributes minimal tangible capital to a JV, however the new JV will be branded under the health system. Whether through an ongoing annual royalty payment or a one-time up-front lump sum payment, any consideration paid in exchange for use of a healthcare brand should be at fair market value, which is traditionally based on the customary valuation methodologies described below. Despite the distinctiveness of healthcare brands from other industries, conventional valuation techniques, including the Cost Approach, Market Approach, and Income Approach, remain applicable to healthcare brands. The Cost Approach estimates the value based on the cost required to create the asset. In the case of healthcare brand valuation, the Cost Approach typically considers the cost to develop and implement the brand while giving consideration to the entity’s history, trademark, tradename, advertising budget, and market recognition. While the Cost Approach should be considered in determining the value of a brand, for most healthcare entities, it has significant limitations. For instance, the cost to develop a brand may be difficult to estimate. Brand strength is not the result of a singular investment. Decades of operations, countless years of employee service and capital commitments to community outreach and clinical excellence all contribute to the historical cost to develop a brand. Furthermore, cost is not necessarily an indication of value of the brand. Unless economic benefits can be earned from ownership or usage of the brand, the value of the brand would be relatively low regardless of the amount of historical expenditures required to develop and implement the brand. Therefore, in many instances, the Cost Approach may be considered but not ultimately relied on to determine the fair market value of a healthcare brand. The Market Approach estimates the value of the brand by reviewing transactions for assets similar to the subject brand in a free and open market, and considers comparable licensing arrangements for the subject entity (if available) and any additional intellectual property conveying with the brand (such as a copy of confidential operating manual/clinical protocols; computer software; sources of equipment, fixtures, furnishings, signs, and products; and advertising and marketing creation). The Market Approach is a relative approach that helps corroborate the specific facts and circumstances of brand value in question to available market data. While a useful comparison, the Market Approach is limited in applicability due to available transaction data with clear and defined parameters similar to the subject brand valuation in question. The Income Approach estimates the brand value by projecting future economic benefits attributable to the brand (such as incremental earnings through measurable metrics such as operating statistics or cost efficiencies) and then allocating the incremental benefits between the parties involved. The Income Approach is based on the premise that the amount that a licensee would be willing to pay for the subject intangible asset is dependent upon the value of the anticipated future economic benefits the licensee could expect to achieve through the use of the subject intangible asset. The most common Income Approach technique for brand valuation is the Relief from Royalty (“RFR”) methodology. This method calculates the value of a brand by determining the present value of a stream of royalty payments to a licensor. One practical approach to determine the appropriate royalty rate for the RFR method would be to use an incremental benefit analysis (IBA). Under this analysis, the incremental benefits with the use of the brand are compared to a scenario without the use of the brand. The delta between the two scenarios is analyzed in conjunction with the specific deal terms of a proposed agreement to determine the value of the brand. A fundamental take away from the IBA resides in the fact that a licensee would only be willing to pay for a portion of the incremental benefit the brand brings to their business. If the licensee paid the licensor 100.0% of the incremental benefit, the licensee would be not better off than if they decided not to pursue the affiliation. Furthermore, the analysis should include recognition of the fact that achieving the incremental benefit associated with the brand may require the contributory benefit of the tangible and other intangible assets that are required to operate a business. The licensee would only be willing to pay a portion of the incremental benefit because the licensee is fully responsible (at risk) for the necessary capital required (including any incremental capital) and/or operating expenses incurred in generating the additional benefit from the use of the brand. Application of the Income Approach is a highly technical undertaking requiring keen insight into the industry, specific market, and proposed business opportunity. For example, the Income Approach should expressly exclude potential referrals from the licensor. Consideration of referrals in the determination of value would counter the premise of FMV and violate the Anti-Kickback Statue. Although limited by the reliance on forecasted assumptions and the requirements for technical expertise, the Income Approach is the preferred brand valuation methodology. This is because the Income Approach relies on the specific facts and circumstances of the proposed opportunity and identifies the incremental, measurable benefits attributable only to the brand. All three approaches are required to be examined in the determination of a healthcare brand value under the premise of fair market value. Furthermore, any credible analysis will examine each of these approaches to determine which outcome best supports the circumstances presented in the brand valuation. In addition to a thorough fair market value analysis, healthcare entities should also consider any alternative impacts of the brand contribution outside of the direct return of the specific opportunity. For example, the licensee should consider any political ramifications of a change in brand identity. Are any key providers or provider networks affiliated with competing brands? Will competitors in the market change how they currently utilize the licensee’s services, even in service lines unrelated to the specific brand opportunity? For the licensor, for example, contribution of a brand brings inherent risks regarding the control of the brand and quality oversight which may be expensive to oversee or be highly regulated by a governing board. The table below outlines a few examples of pros and cons to consider before a brand contribution. Strategic affiliations involving brand contributions can be highly advantageous to both parties, especially in healthcare. Licensors can extend the reach of their system to new markets without significant capital investment. Licensees can leverage the licensor’s reputation and knowledge of best practices to capture larger market shares in increasingly competitive markets. Whether through a fixed up-front payment, equity contribution, or ongoing royalty payment, consideration for brand contribution must be properly established at fair market value, based on a thorough application and evaluation of the Cost, Market, and Income Approaches to the specific opportunity. Careful consideration of all pros and cons in addition to a credible fair market value analysis can help ensure a successful healthcare brand contribution.